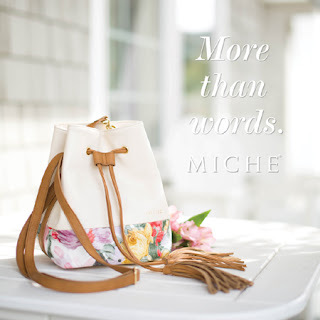 Bucket bag style hip bag in ivory faux leather with camel accents and floral trim. 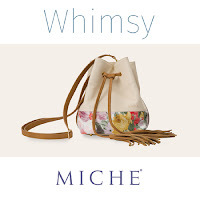 Pale yellow lining, adjustable strap, debossed logo, tassel drawstrings. Gold hardware. Dim: 7" long x 9.75" tall, with a 5.5" gusset. Strap dim: adjusts to 56.5" long x .625" wide with an adjustable 28" handle drop.